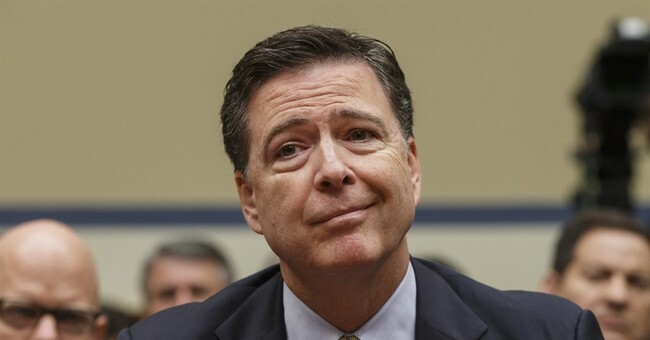 "The Petraeus case, to my mind, illustrates perfectly the kind of cases the Department of Justice is willing to prosecute," Comey told the committee. Petraeus, the four-star general who oversaw military operations in both Afghanistan and Iraq, resigned as CIA director in 2012 after his extramarital affair with his biographer, Paula Broadwell, became public. At the hearing on Thursday, Democratic Rep. Elijah Cummings, the committee's ranking member, invited Comey to counter those claims. "So you have obstruction of justice, you have intentional misconduct and a vast quantity of information," Comey said. "He admitted he knew that was the wrong thing to do. That is a perfect illustration of the kind of cases that get prosecuted." He added: "In my mind, it illustrates importantly the distinction to this case." Prior to the hearing, some lawyers within the national security realm noted that they were going to use this new “Hillary Defense” regarding mishandling of classified material cases. Yet, they did agree that some egregious security lapses did occur. Lawyer Kel McClanahan said there was one line of inquiry that wasn’t looked into by the FBI, which is whether setting up the server itself constituted a felony. “Someone who ‘conceals, removes, mutilates, obliterates or destroys’ government records can face a fine and up to three years in prison. The Justice Department has sent defendants to prison for such a crime,” he said. Petraeus lied and hid documents in unsecure locations. So did Clinton—she lied about the nature of her email system, she lied that it was approved by the State Department, she lied about not having classified information being sent of received through her email system. But her out it appears to be—more or less—that she was too stupid to understand the classification markers on such communications. As Guy wrote earlier today, intent also seems to be pretty clear, given that Clinton’s lawyers scrubbed devices in a way to prevent “forensic discovery.” Uh, that’s rather suspicious, is it not? At any rate, people who had no businesses viewing classified information—Clinton’s lawyers—had access to that material and deleted it. Her server was held in the basement of her New York home—a location not authorized to store or transmit classified information, which would’ve been frequent given her position as our top diplomat. Such a server is widely suspected to have been set up at this location to avoid FOIA requests. We will never know the truth unless former State Department staffer Bryan Pagliano decides to shed more light on this set up. He has so far taken the Fifth when asked. Regardless both Clinton and Petraeus mishandled classified information. They both may have lied to investigators; Petraeus did, Clinton’s actions will be looked into further once Congress gives the FBI a proper referral. The point is that Petraeus was held to a high standard being our nation’s top spy chief. Clinton was not. She escaped because of her name.